This is a 45 residue conserved region at the N-terminal end of a family of proteins referred to as CIRs (CBF1-interacting co-repressors). CBF1 (centromere-binding factor 1) acts as a transcription factor that causes repression by binding specifically to GTGGGAA motifs in responsive promoters, and it requires CIR as a co-repressor. CIR binds to histone deacetylase and to SAP30 and serves as a linker between CBF1 and the histone deacetylase complex (PUBMED:9874765). 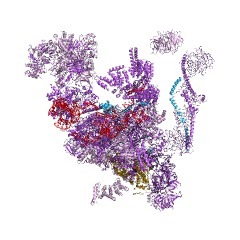 This entry represents a 45 residue conserved domain found at the N-terminal end CIR protein (CBF1-interacting co-repressor, also known as corepressor interacting with RBPJ 1). This domain can be found in the fungal CWC25 family members and mammlian LENG1 (leukocyte receptor cluster member 1) protein. CBF1 (centromere-binding factor 1) acts as a transcription factor that causes repression by binding specifically to GTGGGAA motifs in responsive promoters, and it requires CIR as a co-repressor. CIR binds to histone deacetylase and to SAP30 and serves as a linker between CBF1 and the histone deacetylase complex [(PUBMED:9874765)]. CIR also plays a role in alternative splicing [(PUBMED:15652350)]. Budding yeast Cwc25 is a pre-mRNA-splicing factor involved in pre-mRNA splicing [(PUBMED:14690591)]. 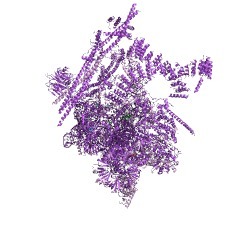 There are 2628 Cir_N domains in 2626 proteins in SMART's nrdb database. Taxonomic distribution of proteins containing Cir_N domain. This tree includes only several representative species. The complete taxonomic breakdown of all proteins with Cir_N domain is also avaliable. Click on the protein counts, or double click on taxonomic names to display all proteins containing Cir_N domain in the selected taxonomic class. 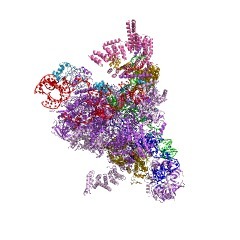 CIR, a corepressor linking the DNA binding factor CBF1 to the histonedeacetylase complex. CBF1 is a member of the CSL family of DNA binding factors, which mediateeither transcriptional repression or transcriptional activation. CSLproteins play a central role in Notch signaling and in Epstein-Barrvirus-induced immortalization. Notch is a transmembrane protein involvedin cell-fate decisions, and the cytoplasmic domain of Notch (NotchIC)targets CBF1. The Epstein-Barr virus-immortalizing protein EBNA2 activatesboth cellular and viral gene expression by targeting CBF1 and mimickingNotchIC. We have examined the mechanism of CBF1-mediated repression andshow that CBF1 binds to a unique corepressor, CBF1 interacting corepressor(CIR). A CIR homolog is encoded by Caenorhabditis elegans, indicating thatCIR is evolutionarily conserved. Two CBF1 mutants that were unable to bindCIR did not function as repressors, suggesting that targeting of CIR toCBF1 is an important component of repression. When expressed as a Gal4fusion protein, CIR repressed reporter gene expression. CIR binds tohistone deacetylase and to SAP30 and serves as a linker between CBF1 andthe histone deacetylase complex.